I’ve just returned from the most incredible family holiday to Dubai with Emirates Holidays. Here’s what we got up to in Dubai! If you’ve been following me on social media you will have seen I’ve been harping on about our family holiday to Dubai all week because we had such an incredible time there. I’d go as far to say that our holiday to Dubai was the best family holiday we’ve ever taken. Honestly, it was THE dream. Dubai is the perfect destination for families because it’s so family friendly and our itinerary made sure everyone was happy. 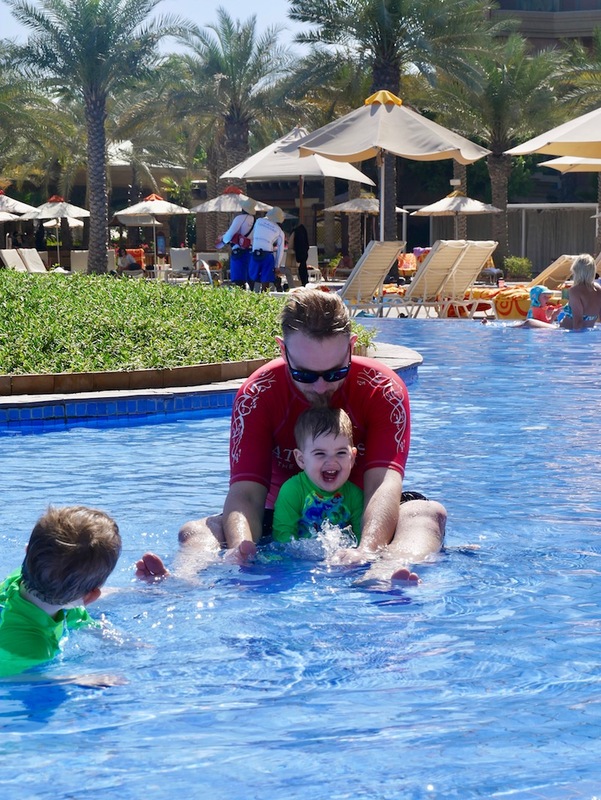 I travelled to Dubai with my partner, Sam, and our two little boys, George (3) and Joseph (1.5) and it can be difficult to find activities that everyone genuinely loves but we definitely got the perfect balance. It’s a 7 hour flight to Dubai from Manchester and we flew with Emirates who were incredible. It was our first long flight with both the boys so we were a little nervous, but we definitely didn’t need to be! Flying long-haul with kids is actually much easier than short-haul. When we fly short-haul we usually travel with budget airlines and the tiny seats and tiny isles make it difficult! But Emirates were incredible and they’re obviously used to taking lots of families to Dubai! We had bulk-head seats so the boys had plenty of space and the lovely Emirates staff couldn’t do enough to help. Kids get toys and activity packs when you board the plane and the entertainment system is incredible. George didn’t even get his toys out of his bag because he was busy with the games and shows on the inflight system. 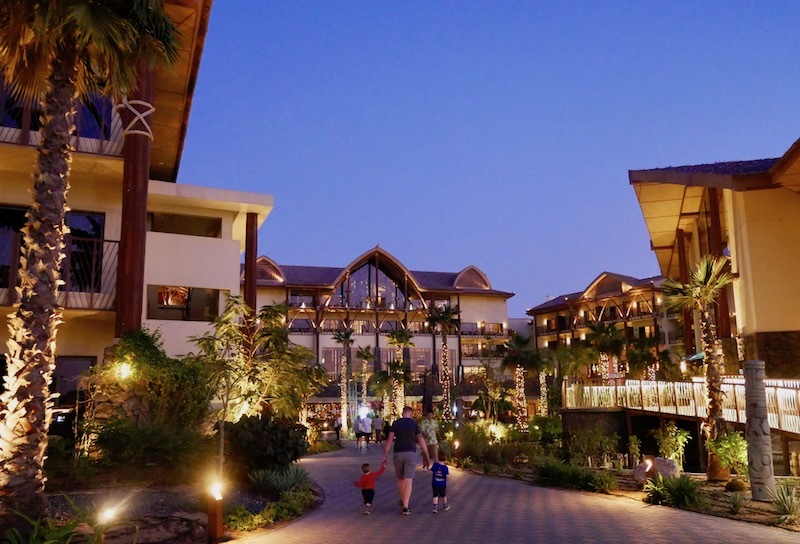 For our first two nights, we were staying at Lapita, a beautiful Polynesian themed resort within Dubai Parks and Resorts. The family-friendly hotel has that perfect balance between luxury, comfort and laid-back friendliness. We were all tired when we arrived but the lovely staff perked us up and a tour around the resort on a buggy impressed the boys! Our huge room was elegant and homey and we were welcomed with the most incredible fruit basket, a delicious red velvet cake shaped like a tool box (we’re not sure if they knew Sam is a builder or if this was coincidence!) and little cupcakes with extra treats on the side for the boys to decorate them. We ordered room service, put the boys to bed and enjoyed a glass of wine on the balcony overlooking the pool that was twinkling with pretty lights. Ahhh, finally we were relaxed and on holiday! It has been snowing when we’d left Manchester 10 hours earlier and it felt so surreal to be sat on this incredible balcony feeling warm and relaxed while listening to the crickets. That snowy drive to the airport felt like a million years ago. It had been a surprisingly easy journey to Dubai so it was the perfect start to the family holiday. We all slept late due to jetlag so dashed to the hotel buffet for breakfast at 10.45am! Sleeping past 10am is a rare treat when you’ve got toddlers so this was a good morning for us! The breakfast buffet at Lapita was incredible and we enjoyed it outside looking out over the bright flowers. Sam and I had our coffees in the sunshine while the boys chased the little birds who came to pick up their crumbs. We then made our way to Dubai Parks and Resorts which is connected to the hotel. I’ll be writing a whole post about Dubai Parks and Resorts because it’s amazing and a lot of people don’t seem to know it’s there and it’s a must-see during a family holiday to Dubai! 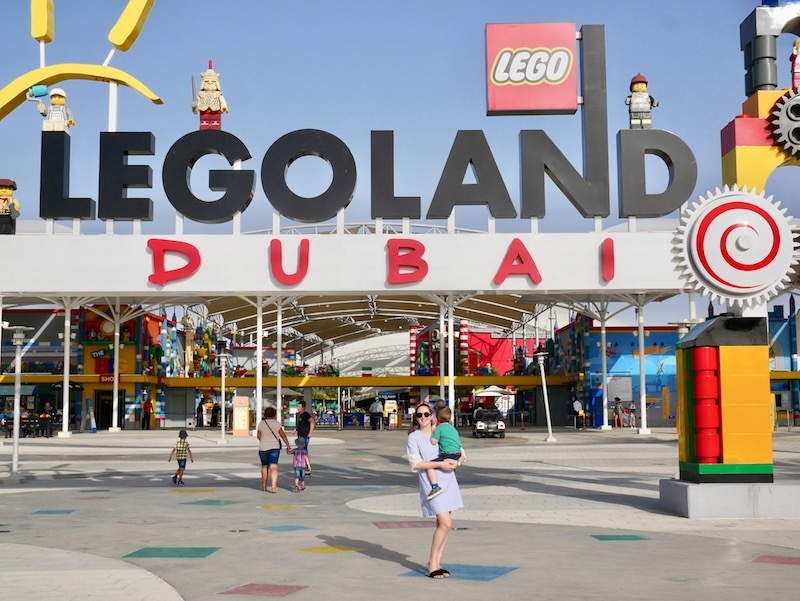 It’s a leisure and theme park destination and is home to LEGOLAND Dubai, LEGOLAND Dubai Waterpark, Motiongate Dubai, Bollywood Parks Dubai and Riverland Dubai. Riverland isn’t a theme park, it’s the gateway to the theme parks and has four zones; The French Village, Boardwalk, India Gate, and The Peninsula. Our hotel room at Lapita was by the entrance to the French Village and very close to LEGOLAND (less than 10 minute walk) so it was a perfect position. We had a stroll through the very pretty French Village which has lots of shops, cafes and restaurants before spending the remainder of the day at LEGOLAND. LEGOLAND was brilliant and it’s so nice that the boys are finally at an age where they appreciate things like this. There are over 40 LEGO themed rides and attractions and it’s aimed at kids ages 2-12 but even Joseph loved it. There are lots of exciting soft play areas, a medieval land and he loved watching his big brother driving cars and boats and riding trains. There was a lot that even George was too small for but it was still worth it and a really fun afternoon out. We ate at the Market Restaurant which was delicious and had loads of nice options for kids. We bribed the kids out of LEGOLAND with ice creams and walked back to the hotel to cool off in the pool at Lapita. This hotel pool is one of the best I’ve ever been to because it has a gorgeous lazy river running around it and the kid’s pool was huge. And to make it even better, they were both heated and were perfectly warm. We had a splash about and then went to the hotel buffet for dinner. On our third day we spent a few more hours at LEGOLAND but then headed next door to LEGOLAND Waterpark. This waterpark was perfect for us because it’s aimed at younger kids (ages 2-12 again). The boys had a lot of fun splashing and Sam made it onto a few of the bigger rides too. We had lunch at a pretty bakery in the French Village and as we sat outside watching the world go by you could easily forget where you were and think you’re in France for a moment! Late that afternoon we left Lapita and took a taxi to our second hotel, the famous Atlantis the Palm, and wow, what a hotel. I instantly felt like I was cheating on Lapita because I’d loved our time at Lapita – it was beautiful and chilled and friendly and fun, but Atlantis the Palm is something else entirely. This hotel definitely gets a gold star for first impressions. We had to pick our jaws up off the floor as we walked along the red carpet guiding us into the magnificent lobby and through to a luxury lounge filled with roses while we waited to check in. The main lobby was bustling with people who were just visiting to see the hotel and we felt incredibly lucky to be staying here. We were staying in a two bedroom Terrace club suite so we had some special extras thanks to our fancy room. Checking in in this lovely lounge was one of them but we also had access to different lounges around the hotel where drinks and snacks were served all day. When someone says ‘snacks’ I imagine it will be crisps and salted peanuts and possibly a Ritz cracker if you’re lucky but it was actually a mini buffet we could access for most of the day! It was amazing. 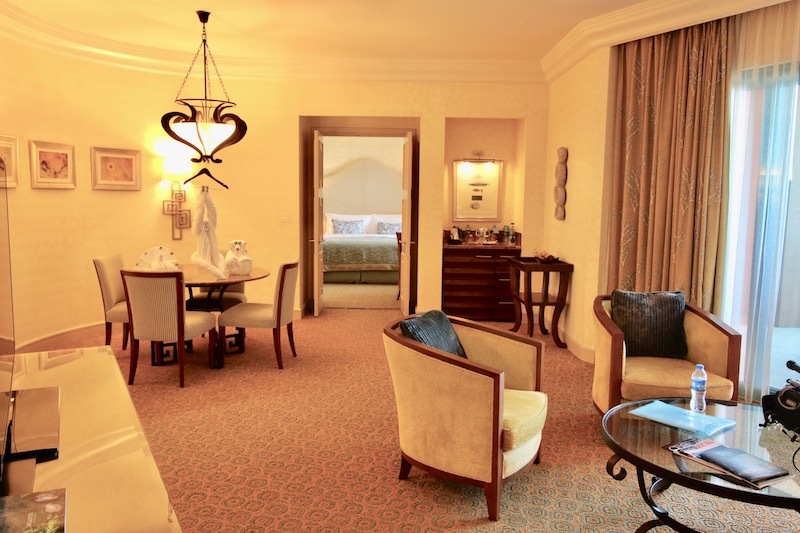 But not as amazing as our room…. We were escorted up to our rooms on the 14th floor. Yes, that’s right, roomS. Plural! We walked into a huge living room – which, kind of depressingly, was much bigger than our living room at home! Double doors led on to the master bedroom where the boys instantly scrambled onto the enormous bed while I checked out the massive bathroom and dressing room. In the opposite direction was George’s bedroom with a huge bathroom with shutters that opened up to the room. He had two double king sized beds and a lovely sunny balcony of his own. One of the highlights of our room was the view from the terrace. We looked out to the sea and could see the famous Burj Al Arab in the distance. But when you looked down we could see the top of the huge fish tank and see sharks and sting rays on the surface. It was incredible! 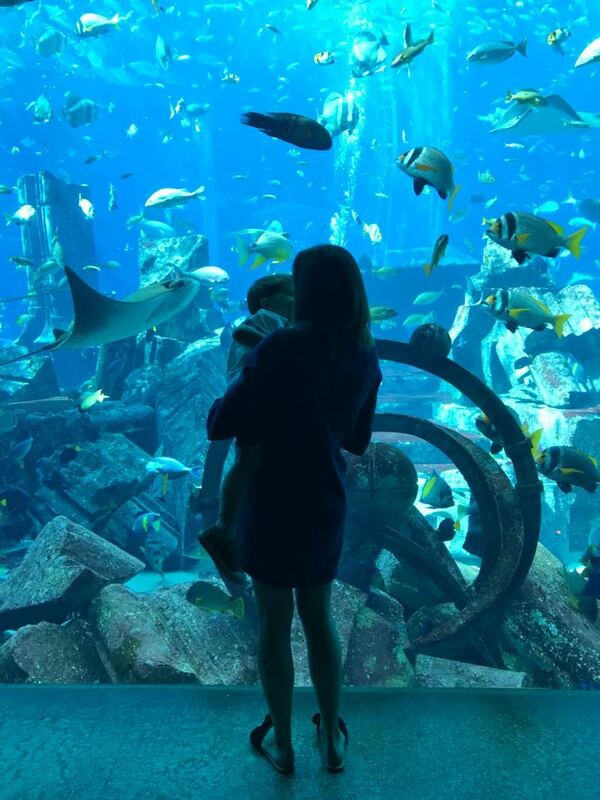 Once we’d got over how incredible the Atlantis is, we explored the grounds of the hotel and the lovely pools, beaches and gardens before heading to the Lost Chambers Aquarium. Whilst in Dubai we were doing some filming with a film crew to make a video for Emirates Ice Channel, which is their own channel available on the plane, so we were really lucky and were allowed to go into The Lost Chambers before it opened so we could film without people in the background. Yes, we had The Lost Chambers to ourselves! 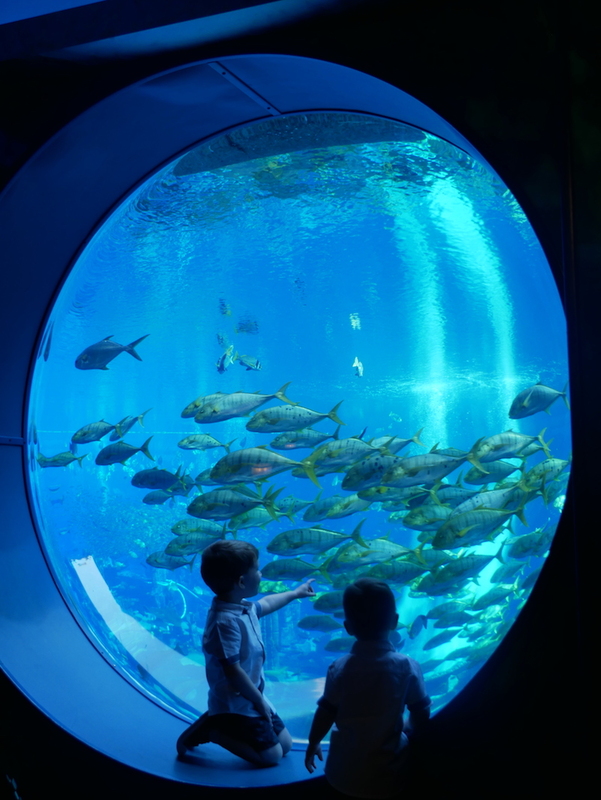 It’s an Atlantis-themed aquarium and you walk through 10 huge chambers to explore the underwater world and see creatures you’d never imagine you’d see in real life. It was so beautiful, tranquil and serene and the most incredible aquarium you could imagine. 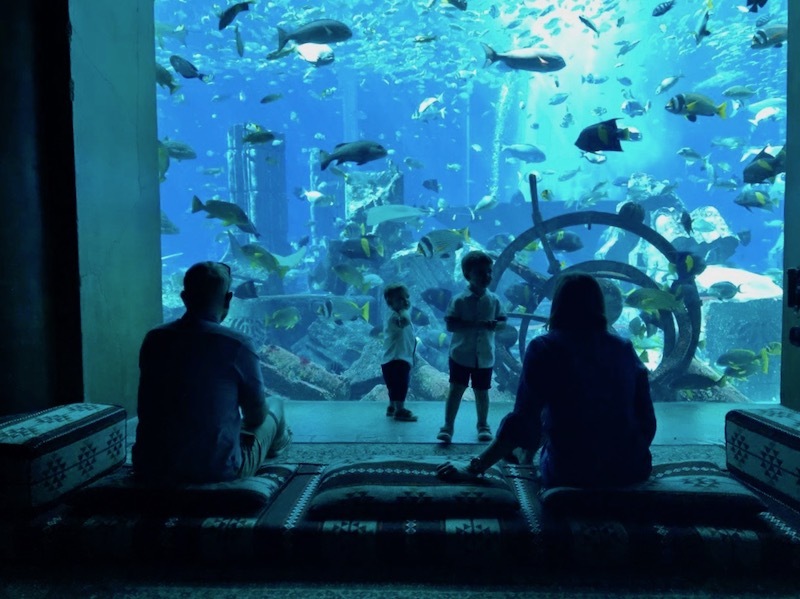 Cushions are scattered in front of many of the enormous glass windows so you can sit down and watch over 65,000 marine animals within this magical setting. This was such an amazing experience because Sam and I were just as entranced as George and Joseph were and we could have stayed here all day. Side note: They also do morning yoga in the Lost Chambers for any of my fellow yogis! I hadn’t realised until it was too late but I really wish I’d done this! We checked out the amazing kid’s club and then had lunch at The Shore, a luxurious beach bar serving Mexican food. We took the kids back to our room for an afternoon nap and then spent the rest of the day splashing around the pool and beach. Aquaventure is the Middle East and Europe’s number 1 waterpark and it’s HUGE! It’s part of Atlantis the Palm and, once again, we had the amazing opportunity to go in before it opened with the film crew. Sam made the most of it by trying out some of the bigger rides before there were any queues while I splashed around the kid’s pool with the boys. There’s Splashers Children’s area which is great for brave little ones or those over 3 but there’s also a brand new kids area for babies and younger ones. This was great for us because George and Joseph were a bit scared by Splashers but the tiny slides and shallow water in the new bit was amazing. I spent the next three hours stood at the bottom of slides applauding the boys as they came down again and again and again! That’s mum life! 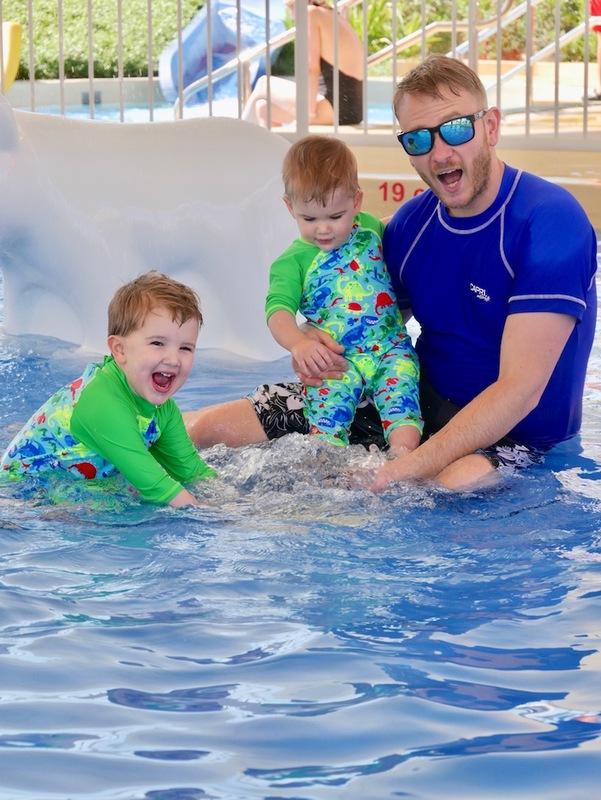 If you’re planning a family holiday to Dubai then I 100% recommend Aquaventure. If you don’t do anything else on this itinerary, go here! Once again, we went back to our room for an afternoon nap before heading back out to the pool, beach and pirate ship play area. That evening we had babysitters from the hotel come into our room to watch the kids while Sam and I went out for dinner at YUAN, Dubai’s best Chinese restaurant within the hotel resort. I was a bit nervous about leaving the kids with a stranger but my mind was at rest as soon as two lovely ladies arrived. They came in with arms full of toys and the boys barely even noticed us after that! The babysitters gave the boys their dinner which arrived via room service, played with them for an hour and put them to bed. The food at YUAN was delicious and definitely not like the Chinese takeaways I’m used to. We started off with cocktails and then had fried and steamed dumplings. We shared our main courses because we couldn’t decide between the Waygu beef and the duck. We followed up with decadent deserts before taking a much needed walk around the hotel which looks so pretty at night. We were spoiled rotten when we went up the Burj Khalifa, the tallest building in the world, because we were invited to the 148th floor where we were the only people in the lounge. 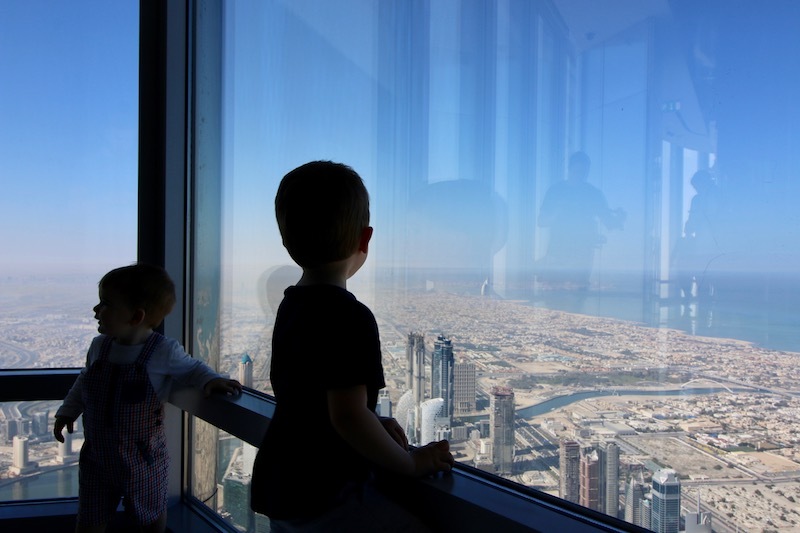 It was such a magical experience to see Dubai from an incredible vantage point and it was another experience where the boys were just as excited as Sam and I. After visiting the Burj Khalifa we walked to Kidzania which is nearby. Kidzania is an ‘enteractional’ interactive city run by kids and is a must-visit during a family holiday to Dubai. It’s basically a mini indoor city with shops and hospitals and a fire department and dentists etc and kids run it all. You have special Kidzania money that they earn through working jobs and then use it to drive cars and other fun things. It’s a really fun place but George was a bit young for it and just got frustrated people kept telling him what to do. I can imagine they’d both love it in a few years though! We had lunch in Dubai Mall, the biggest mall in the world, before hopping on the City Sightseeing Tour bus. This was OK but I’d recommend doing it at around 5pm when it’s cooler. We could only get seats in the sun and were melting at the top of the bus! Our final stop was Dubai Miracle Garden which was a bit of a drive which is the most extravagant and incredible flower garden I’ve ever seen (of course, we were in Dubai!) Unfortunately, we didn’t see much of the gardens and flowers because by this point the boys were hot and tired so we didn’t stay long. We made our way back to Atlantis in time for a long nap. 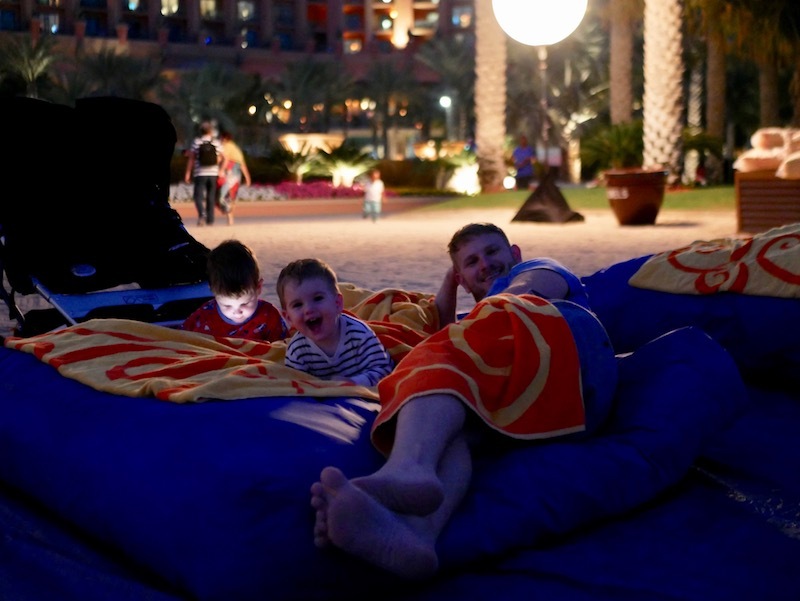 That evening we were taking a walk around the hotel grounds and we saw they were setting up a big cinema screen on the beach with huge beach bean bags. We hung around and realised it was a family film so we dived onto a bean bag, ordered some popcorn and snuggled up under some warm towels to watch Moana. It was absolutely magical to be snuggled together under a palm tree, hearing the waves in the distance with the iconic hotel behind us and twinkling lights all around. It was the first time we’ve sat and watched a film all together so it was lovely. Joseph jumped up from our beanbag from time to time to have a little dance (that film has catchy songs!) and then crawled back under a towel to enjoy the film. It was another reason why family holidays to Dubai are so great, they seem to think of everything and cater to every member of the family. Kids aren’t an afterthought here, kids are the reason people come! It was with heavy hearts we packed our bags to leave Dubai. On family holidays like this I’m usually ready to go home after a week away. I love travelling but I also love being at home and I feel ready to leave. But oh no, not this time. I could have happily stayed for another week and we were all genuinely gutted to be going home. Our flight home was as easy as the one out but it wasn’t nearly as exciting. I can’t recommend Dubai enough for families. The activities and resorts were brilliant and there was so much to do for everyone. I think Dubai is best for families in the UK looking for winter sun because you’re almost guaranteed gorgeous weather and it isn’t too far to travel. The Canary Islands are usually a firm favourite for family winter sun holidays but they aren’t nearly as glam as Dubai! I really enjoyed staying at two different resorts. It made the holiday feel much longer and was exciting to explore somewhere new half way through the trip. I’ve got a few more posts about our family holiday to Dubai coming out over the next few weeks so keep your eyes peeled! This holiday was in partnership with Emirates Holidays who, as you can probably tell from this post, were incredible. I had a few ideas about what I wanted to do but they had so many family friendly suggestions. Emirates Holidays are the specialists so they’re great at creating personalised itineraries to meed your individual needs – whether that’s a family trip, a romantic escape, an adventurous, privately guides holiday (dreams!) then they’re fabulously for helping you plan your trip. They’re experts in Dubai, Indian Ocean and South East Asia and South Africa – basically, all the places I want to go! Wow Monica, what an amazing trip -and a beautifully written article, as always. My sister and I will be spending 2 nights in Dubai on our way back from Australia in September – can’t wait. I really enjoyed reading this Monica. I haven’t yet been to Dubai, but to Qatar! Our son isn’t a toddler anymore. but a strapping 16-year old teenager, but nevertheless, we all still love aquariums as a family, and visit them wherever we go. And with cushions to slouch over while watching sealife, sounds like fun! 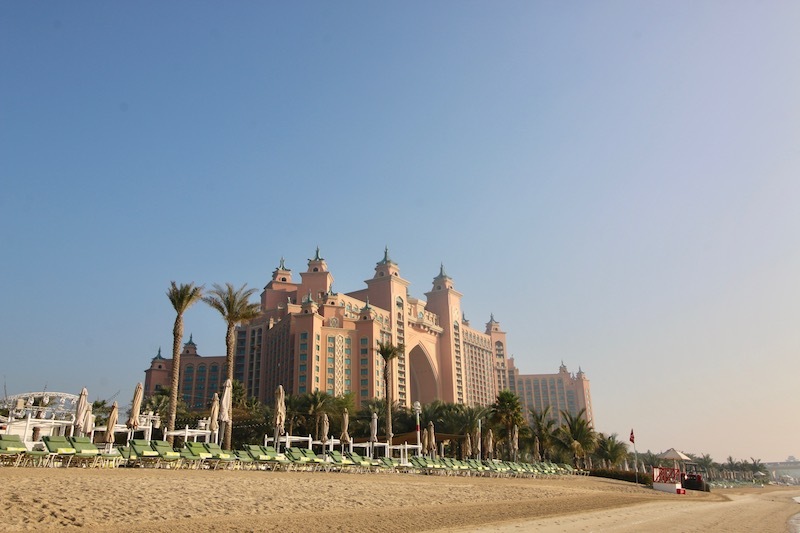 Currently stuck on ideas for where to spend October half term (it’s our first holiday restricted to term times), but then I remembered your Dubai post! I’ve just been reading through, transfixed – this is EXACTLY what I want and where I want to go! Off to do some flight research now! Hi Paull! 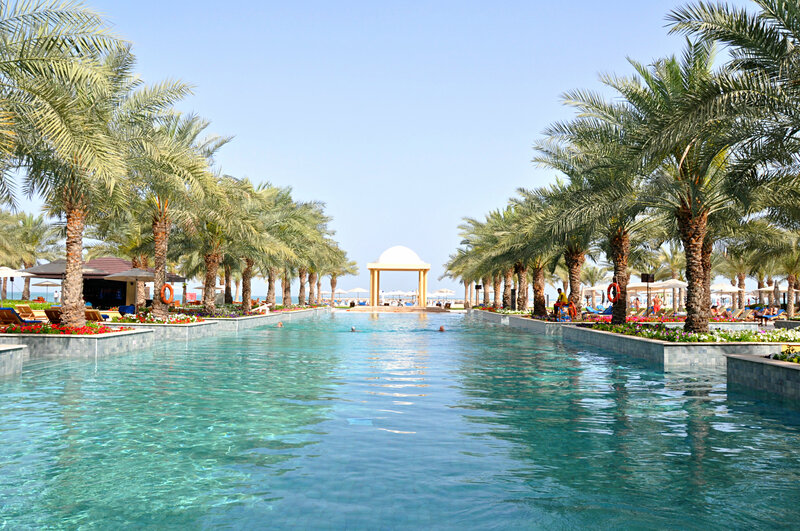 If you are looking for a great place to stay in UAE with beautiful views, relaxing private pools and huge villas, it’s definitely Al Habtoor Polo Resort. My stay in there is really unforgettable. 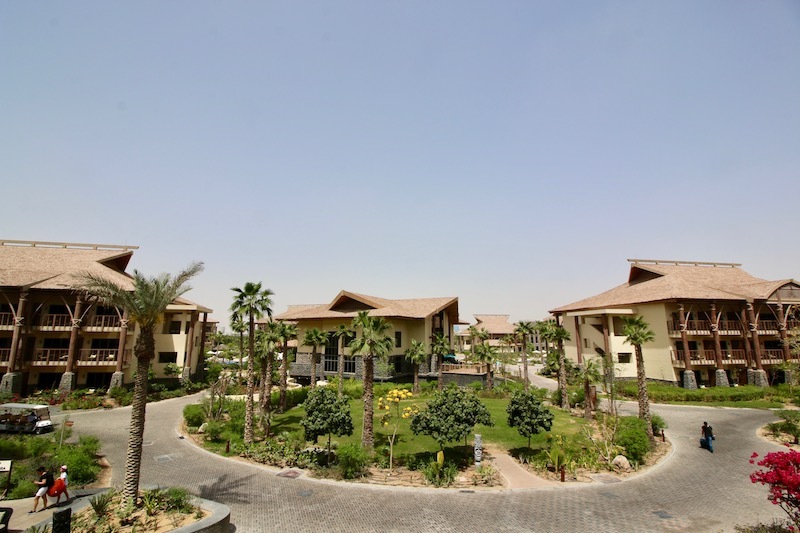 I was lucky enough to booked me and my whole family a 4 bedroom villas just for AED 2500 on weekdays. This is amazing! the Atlantis Palm Jumeirah is the best option. there are no other places to enjoy the family vacation than in Dubai. Thanks monica. 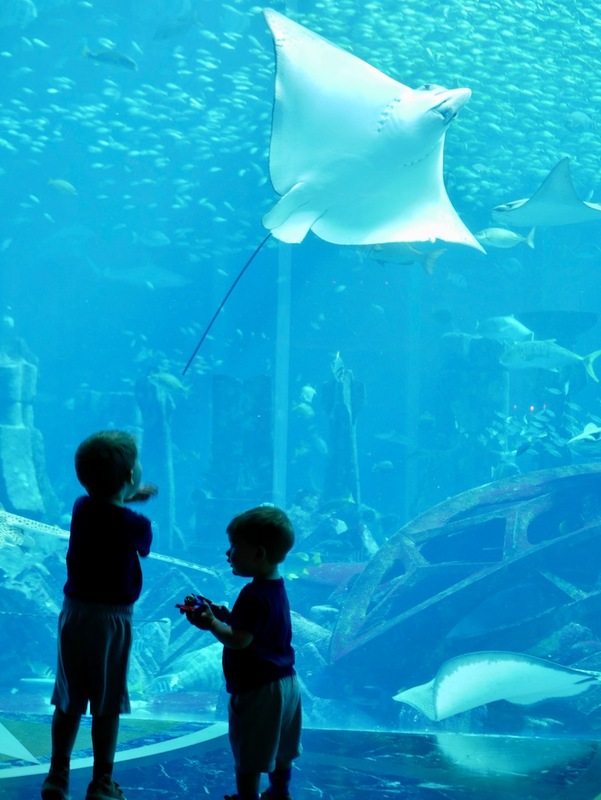 really awesome guide for family Holiday plan in dubai. Some other place is also option. But this one is best for family tour enjoy.